Kaspersky SafeKids : Helps you protect your children in the digital world – on their Android phones & tablets, PCs, Mac computers and more. With the purchase of the PREMIUM version, you will be able to get all service functionality, to use it across unlimited number of devices for each of your kid in the family. With screen time scheduling, GPS safe zones, notifications about suspicious activities and summaries of what children search, see & share… parents can stay connected with their kids and be sure they are in the safe place – with more just a parental control tool. Our service allows parents to deliver protection to all children in their family… installing Kaspersky Safe Kids on an unlimited number of the devices children use. 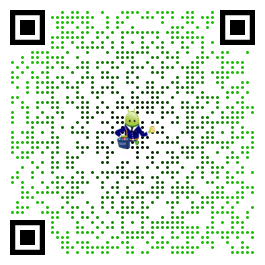 Start the download and follow the easy instructions on the screen – to install the service in a kid’s mode. 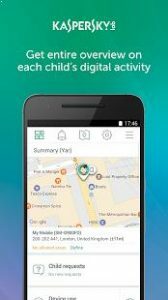 You can install Kaspersky Safe Kids on your parental phones, tablets on Android OS and other mobile devices – so that you can remotely manage the protection rules for all children in the family & also get notifications about suspicious activities – with more just a parental control tool. To manage the whole set of protection rules, please log in to the My Kaspersky portal via my.kaspersky.com/mykids – using the My Kaspersky login & password that you used during installation. When parents activate Kaspersky Safe Kids on children’s devices, they’ll get a good set of parental control tools, plus an opportunity to be aware of kid’s interests to support them and establish trustful relationships. We recommend you to turn on your Global Positioning System (GPS) to increase the accuracy of your child’s location. Please note, the GPS usage increases the battery power consumption. Excellent for restricting time a child can spend time with a smartphone. One drawback is that there’s only one profile for a mobile device. Another drawback is that parent profile is not user friendly and it just links one to the web where one again needs so sign in. What I also dislike is that I have different extra time allowance on a PC versus Android smartphone when logging in as a parent. Good day, Jan! Please submit a ticket to our Tech Support through your Kaspersky account: log in at https://kas.pr/6s6V and click ‘Support’-‘New Request’. Management much better but I don’t see child activity. I only see no alerts when I got to apps, or devices no reports. Dear Shadi, Could you please specify where cannot you see child’s activity? in the paretns’ app or at MyKaspersky account? We also ask you to submit a ticket with your suggestion to our Tech Support via My Kaspersky: log in at https://kas.pr/C6V1 and click “Submit Request”. It really help me to control internet content in my children devices.